Today I just wanted to show a casual look since my last post and upcoming post are both a little dressier! 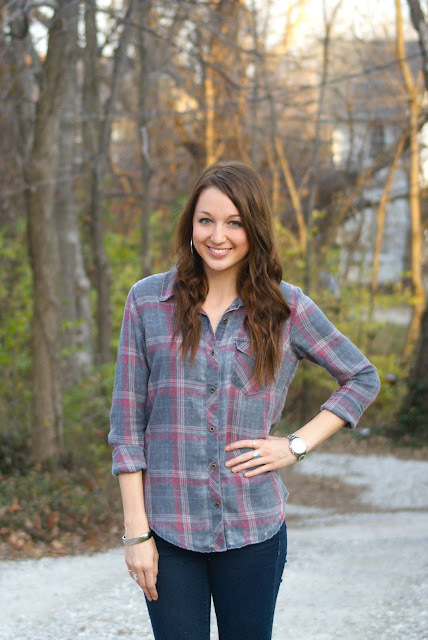 A plaid button-down is always such an easy thing to throw on, and I like layering them over other shirts as well. I just received these great suede wedge booties in the mail from Target today and they might already be my most comfortable shoes! I love that this style is super trendy right now, and these had a great price tag (link above if you're interested). Love this simple look with the booties! You can never fail with plaid! It's always an essential piece for me in my wardrobe! Very simple - yet still so chic. I have those same booties from Target, I love them death! gorgeous outfit! love your girl next door style! Love this Jacy! I could wear this every. single. day. Very cute and you look so comfy in this outfit! I love the boots too! Love the wedge booties. I have been looking for a pair thanks for the heads up can't believe they are from Target! hi Jacy! 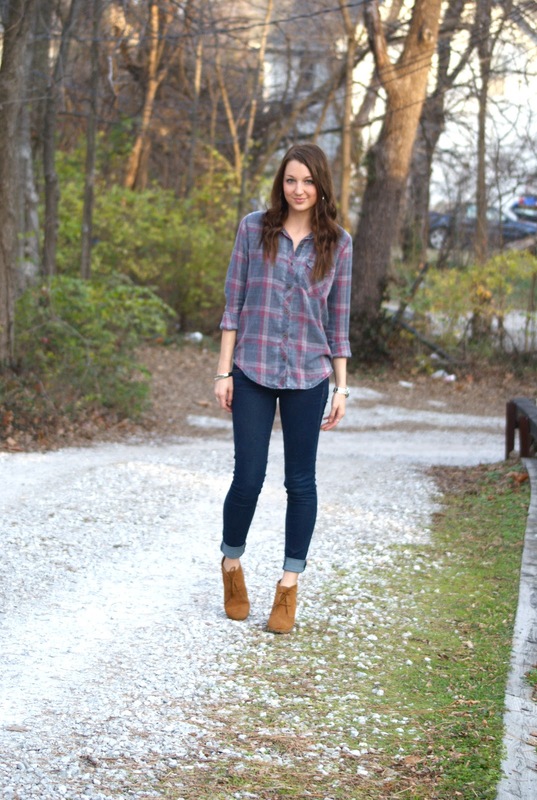 This chic casual look reminds me i need to find a good plaid shirt, you look great as always! I love your shoes! nice outfit. So casual and nice, awesome ^^! Great casual outfit! Love the booties! 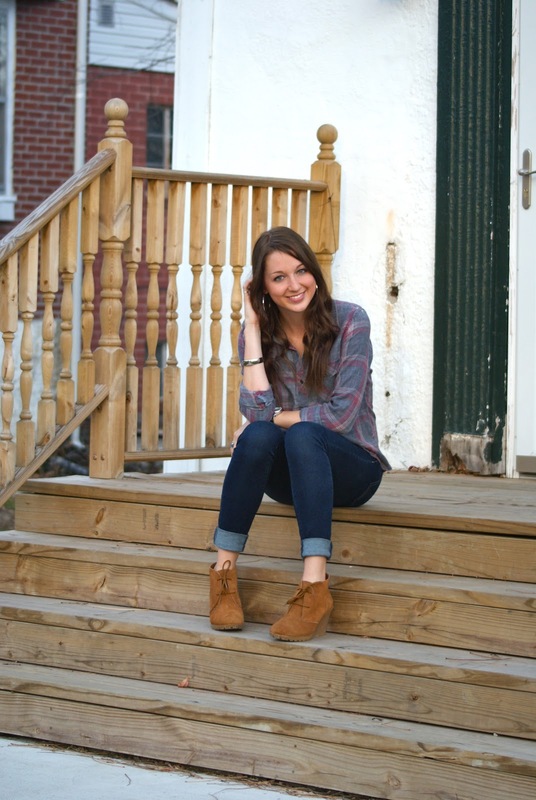 seriously model-like :) love the plaid shirt, you pull off the casual chic look so well. gotta adore the simple mix and match! accentuates your slim figure. Adorable shoes! Thanks for visiting my blog, I'm so glad to have found yours now! Such a cute outfit, I have those booties too!! Cute look! Loving your skinnies and boots! Hey, Jacy! It's been a while since I dropped in and you look wonderful as always! Love this cool ensemble and thanks for inspiring! 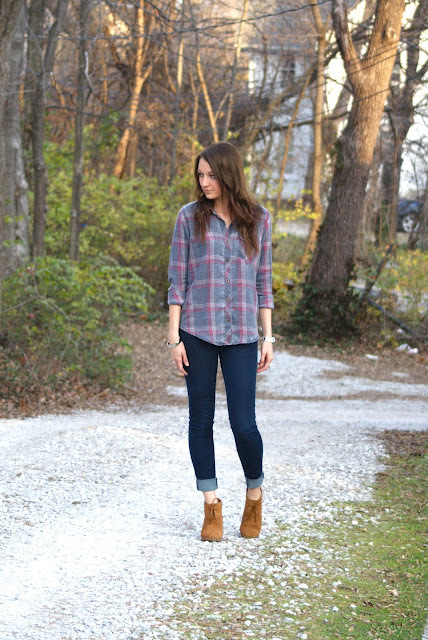 anything plaid is such a win in my book, just screams cozy! I just bumped into your blog at Leopard and Lillies and I love the shoes! !Got similar ones that I thrifted here in Kenya for 3 dollars-unbeleivable huh?? New blogger hope you can stop by...?